Special PTO Meeting – Jan. 30th – Save the date! 6:30 pm – Meeting – Superintendent DT Magee will be attending the January 30th PTO meeting to share information about the proposed projects and address your questions. After Meeting – PTO Board Members will be available after the meeting to answer any PTO related questions. The Norwalk Community School District will be holding a bond election on Tuesday, February 7th, requesting the voters of the district to approve issuing of a bond to fund construction of a new 2nd and 3rd grade elementary school and renovations at the middle school, high school and Oviatt Elementary. To help you become more acquainted with the proposed projects and voter request for bond funding, please refer to the attached FAQ. You can access a more detailed FAQ on the school’s website at http://www.norwalkschools.org/2016/12/2017-bond-election-faqs/. At the end of the FAQ you are welcome to submit a question or comment regarding proposed projects. Your question can be submitted anonymously and the response will be added to the FAQ. If you include your contact information a school official will respond to you directly. 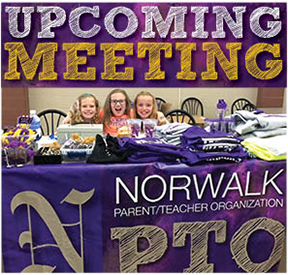 You are always welcome to contact the Superintendent, DT Magee (dmagee@norwalk.k12.ia.us, 515-981-0676) or Business Manager, Kate Baldwin (kbaldwin@norwalk.k12.ia.us, 515-981-0676) if you have questions or would like to discuss the project.